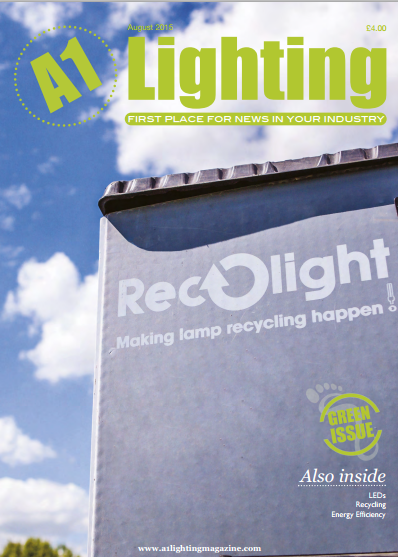 SaveMoneyCutCarbon is featured twice in this month’s A1 Lighting magazine focusing on how companies can go green. CEO Mark Sait leads off an eight-page article with advice and examples that show the business case for energy efficiency with our successful LED lighting retrofit for Menzies Distribution highlighted in a full-page case study. The article emphasises the need for good business logic in any moves towards energy efficiency and comments on how many businesses find getting approval at board level for this type of improvement difficult but the task is made easier with access to finance. “We know that cash flow is crucial and we fully manage financing for energy-saving projects as an accredited partner with Siemens Financial Services. “This can provide ‘Cash Neutral’ funding with no deposit required to minimise upfront costs and is certainly a cost effective alternative to bank lending. For organisations like schools, we partner with Salix Finance to deliver 100 per cent interest-free capital for LED lighting retrofits with payback covered by savings on energy costs.